Providing you the best range of white gypsum powder and pure gypsum powder with effective & timely delivery. 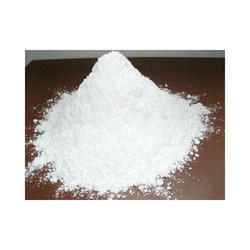 We are successfully engaged in providing a wide gamut of White Gypsum Powder. Being a customer-oriented firm, we are engaged in offering a quality range of Gypsum Powder that is processed by our associated vendors using supreme class gypsum and cutting-edge technology at par with international standards. These are basically used for constructing lightweight insulating curtain wall. The mineral Gypsum precipitated some 100 to 200 million years ago when sea water evaporated. From a chemical point of view it is Calcium Sulphate Dihydrate (CaSO4.2H2O) deposited in sedimentary layers on the sea bed. Under high pressure and temperature Gypsum turns into Anhydrite (CaSO4). In nature, Gypsum and Anyhdrite occur as beds or nodular masses up to a few metres thick. Gypsum is formed by the hydration of Anhydrite. The depth of hydration can range from the surface of the deposit down to three hundred metres, depending on temperature and pressure, topography and the structure of the deposit. Anhydrite is often mined in conjunction with Gypsum, but is comparatively limited in its technical applications. The content of Gypsum in sedimentary rock varies from 75% to 95%, the rest being clay and chalk. 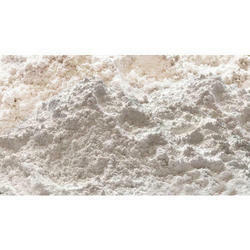 Backed by our expert and experienced professionals, we provide Pure Gypsum Powder.